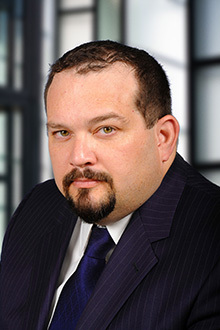 Alex Hernandez is a partner in the Fort Lauderdale office of Lewis Brisbois and a member of the General Liability Practice. Mr. Hernandez is a trial lawyer with over 16 years of experience. Mr. Hernandez’s practice focuses on general liability defense. He is fully bilingual (English/Spanish). He has successfully defended insurance companies and their insureds, transportation companies, school districts, municipalities, retailers and manufacturers as well as restaurants and nightclubs in state and federal court. Mr. Hernandez handles matters involving automobile and commercial motor carrier liability, property damage, negligent security, wrongful death, premises liability, products liability, commercial liability and school district defense. He has significant experience defending premises liability claims in the retail store environment. His practice includes well-known retail merchandisers and supermarkets. He has successfully handled personal injury claims alleging unsafe premises, dangerous conditions, slip-and-fall, falling merchandise, negligent maintenance, and property owner negligence. Mr. Hernandez also handles security liability issues in the retail store, club and restaurant context, including claims of false arrest and false imprisonment against asset protection and security personnel. He also has experience in the defense of contract and insurance disputes as well as indemnity matters.